Janice Uba, president of the Monterey Park Japanese American Senior Citizens Club, addresses the gathering on Jan. 16. Dignitaries in attendance included (seated, from left) Monterey Park Mayor Peter Chan and Mitchell Ing, mayor pro tem. MONTEREY PARK — The Monterey Park Japanese American Senior Citizens Club held its 43rd annual installation of officers and New Year’s luncheon at the Quiet Cannon Restaurant in Montebello on Jan. 16. The mistress of ceremonies was Janice Uba, president. Pledge of Allegiance was led by Ray Mayeda, and Rev. Alfred Tsuyuki of Konko Church who gave the Invocation. Monterey Park Mayor Peter Chan greeted the members and friends. Ben Hererra, recreation superintendent of Langley Center, welcomed the following seniors into the Golden 88 Years-Lifetime Membership Society: Robert Hamataka, Aiko Kanemoto, Marion Katayama, Mary Kato, Shiro Kitabayashi, Patricia Kurokawa, Sachi Maehara, Betty Makabe, Sam Miyamoto, Haruko Morikawa, Tak Murase, Sam Nakatani, Sally Shibukawa, James Tanaka, Roy Tanamachi, Terry Uyekawa and Yoyeko Yonesawa. Mayor Chan assisted the presentation with certificates from the City of Monterey Park. Uba presented the 2015 Volunteer of the Year Award to Ray and Jean Yamashita, who have been very dedicated in helping the seniors in every way. When it was time to set up the chairs and tables, the Yamashitas were there. When the club was serving the seniors, they were there. For the parking lot sale, potluck luncheons, bento luncheons, bingo sessions and ‘goodies’ time at the meetings, they were there. Whenever there was work to be done, they never said no. 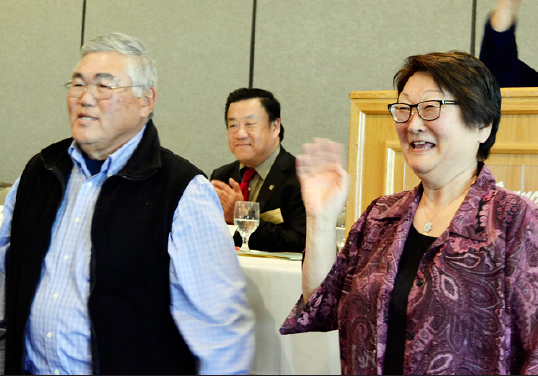 Ray and Jean Yamashita were honored for their volunteerism. 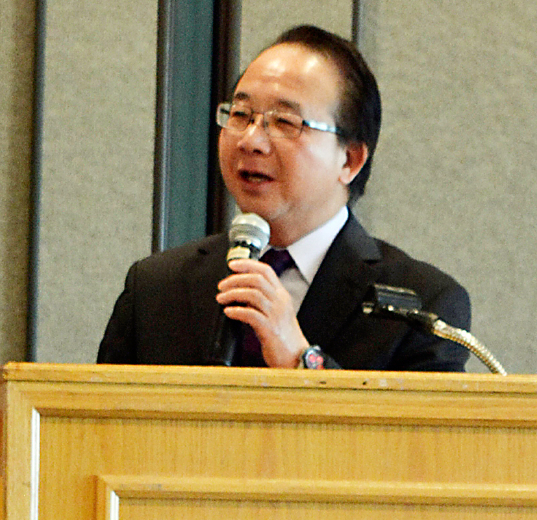 Monterey Park Mayor Peter Chan greeted the members. Entertainment was provided by the Grateful Crane Ensemble. 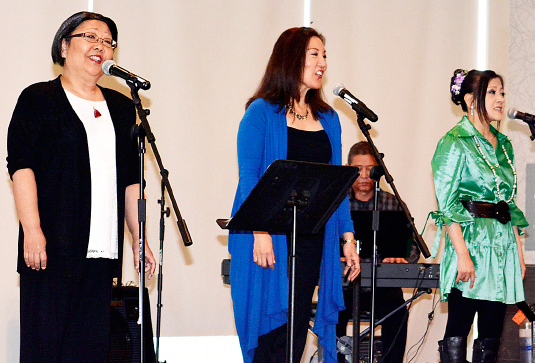 About 300 members and guests were entertained by the Grateful Crane Ensemble, who kept the seniors’ attention with many popular Japanese and English songs. The attendees were given many exciting door prizes, donated by members and many of local merchants throughout the Greater Los Angeles area. Monterey Park Japanese American Citizens Club is one the largest senior clubs in Southern California with more than 600 members. It endeavors to improve the quality of life for senior citizens. Members enjoy recreational activities, make new friends, renew friendships and stimulate a spirit of fellowship. The club arranges trips and tours locally and abroad, and sponsors lectures, exhibits, bingo, parking lot sales, informative meetings and a host of exciting entertainment. Congratulations to Ray and Jean? Thanks to volunteers!